Don't tell people where to live, which is what government low-income housing does. This past week, following the nation's celebration of the birthday of civil rights leader Dr. Martin Luther King, Jr., the U.S. Supreme Court heard an important case related to landmark law enacted during the civil rights era – the Fair Housing Law of 1968. This case highlights how some policies that followed civil rights era legislation – in this case government low-income housing projects – actually have hurt the very communities they were supposed to help. No one questions the illegality of refusing to sell or rent to someone because of his or her race. But what about policies not intended to be discriminatory, but that may produce results that might be deemed as such? The Inclusive Communities Project claims that government-subsidized low-income housing, invariably constructed in low-income neighborhoods, is discriminatory because it forces blacks into pre-existing ghettos. The particular claim here is that the Texas Housing Department should be forced to locate its taxpayer subsidized low-income housing in integrated neighborhoods that would provide minorities access to better schools and opportunity. The Texas Housing Department and developers, needless to say, oppose this idea because it would raise the costs of constructing low-income housing. But can it really be considered discrimination to provide low-income individuals cheap, taxpayer subsidized housing in areas that are already low income, racially segregated areas? Unfortunately, regardless of how the Supreme Court decides in this case, the result will be bad policy because government-subsidized low income housing is a bad idea, no matter where it’s located. There is no question that the concerns of the Inclusive Communities Project are legitimate. Government low-income housing lodged in poor, troubled communities just makes life that much harder for those that are already challenged. But bad policies and bad ideas are going to be bad wherever they are carried out. Even if somehow more taxpayer funds were funneled into these projects to incentivize developers to build more costly low-income housing, it’s still going to be government low-income housing where everyone’s neighbors will be poor. Furthermore, are we then going to sue those who choose to move because they don’t want to be in a neighborhood with low-income housing and communities? A noble and compassionate society certainly will want to help those less fortunate. But it should be done in a way that does not undermine individual personal freedom and sense of personal dignity and responsibility. The way for government to help low income Americans with housing costs is simply to provide a voucher directly to individuals that can be used to defray rent wherever that individual chooses to live. Don’t tell people where to live, which is what government low-income housing does. This creates the troubled ghettos that the Inclusive Communities Project understands is a problem. Furthermore, let’s stop using the tax code as a tool for social engineering. This is what providing tax-credits to builders to construct certain types of housing amounts to. Social engineering doesn’t work. The fact that a half-century after passage of the Civil Rights Act low-income, racially segregated neighborhoods still exist across America is testimony to this. Let builders decide in a free market where to build. We don’t need to give them a free ticket in the way of tax credits so they build where government social engineers want them to build. And if we want to help low-income earners with housing costs, give them a voucher to defray rental costs that they can use anywhere they want. 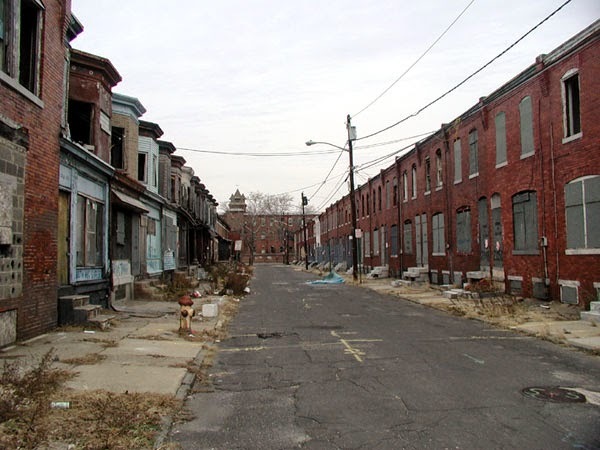 If then these folks are not satisfied with the neighborhood they can afford, education, hard work, traditional values, and personal responsibility has always been the ticket in America to climb the social and economic ladder.